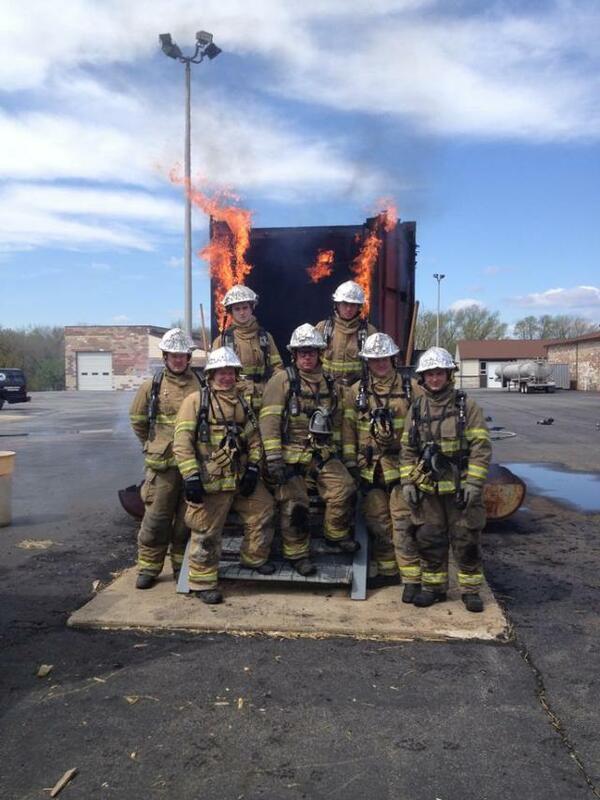 On Saturday, April 20th, five members of the Lititz Fire Company and two members of the Brunnerville Fire Company traveled to the Delaware County Emergency Services Training Center to participate in "flashover" simulator training. "Flashover" is a period in the development of a fire when all the unburned gases in the smoke can instantaneously ignite causing the entire effected area to instantly become a ball of fire. Flashovers typically cause severe injury and, many times, death to firefighters. Recognizing the signs that precede a flashover are vitally important to a firefighter's safety and survival. Front row left to right: Lititz Firefighters Lt. John Shoultz, Deputy Chief Mike Smith, FF Dean Shelley, FF Don Rogers & FF Phillip Gregg. Back row left to right: Brunnerville Firefighters FF Mike McCord & FF Josh Martin.